Often, when we venture into the great outdoors to paint, we are assaulted with visual overload. There’s just too much out there! I find that a good way to approach the problem of too much is to simplify my backgrounds. 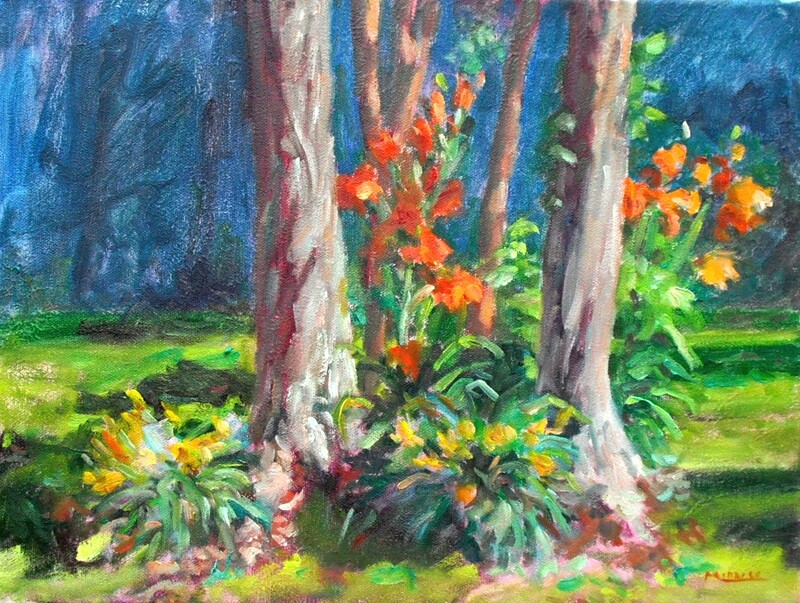 In this recent plein air painting of June lilies, I could have added a lot of trees and stuff in the background but decided to emphasize the flowers instead. I chose to do this by painting the background with a muted variety of purples and blues. As you can see, this really makes the flowers pop. 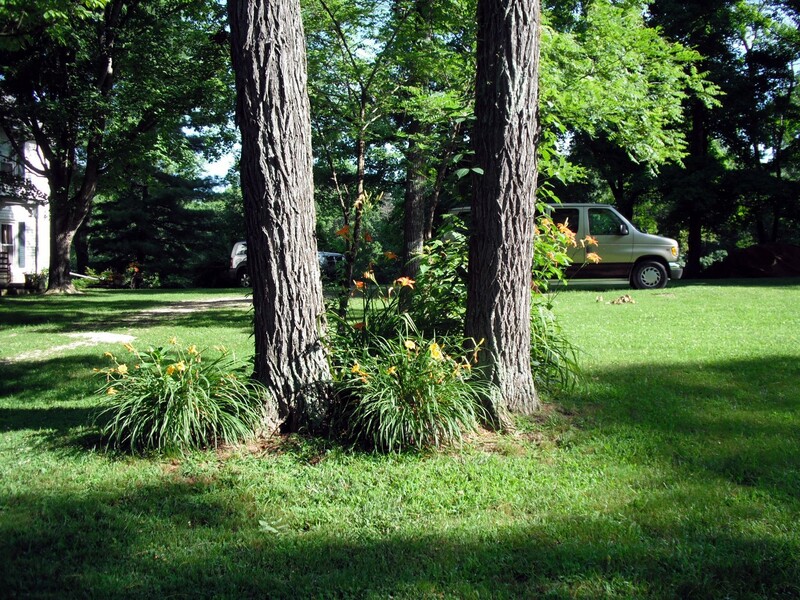 By the way, the orange day lilies grow wild in great masses along the country roads this time of year. The original area with a busy background. This entry was posted in country living, garden, oil painting, painting instruction, plein air, plein air painting and tagged art, country living, garden, kit miracle, oil painting, painting instruction, plein air. Bookmark the permalink. Very nice! I like the idea of simplifying the background. Having the added intention/result of giving more emphasis to the main area of interest is a good way to determine just how to do the simplifying. Thanks for the post! Beautiful painting. Thank you. I agree. As artists, our eyes are not cameras, in-discriminating, but the whole point is that we can choose what we wish to include or not.